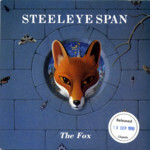 Steeleye Span recorded this “song about the modern fox” (as the album's sleeve notes said) for their album Tempted and Tried . It was also released as a single with the B-side Jack Hall. A live recording at the Beck Theatre on September 16, 1989 was released on the video A 20th Anniversary Celebration . Another live recording from 1994 was released on the album Steeleye Span in Concert . But I'm far more cunning than you. And I'll teach you a lesson or two. and tear your dogs to shreds. And take you to my hunting ground. Run, run, I won't give in. Run, run, I'll never give in. Run, run, run, I won't give in. Run, run, run, I'll never give in.